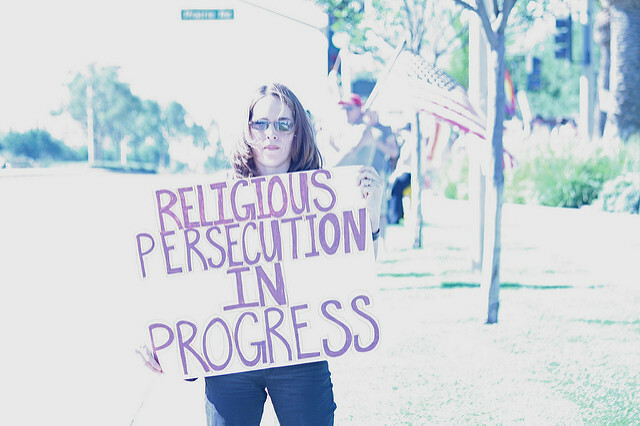 Here in the United States, I’ve heard the Christians around me talk about being persecuted. “It’s getting bad,” they say. You might lose your business for not baking a cake or go to jail for not issuing a gay “marriage” license. You might be scared to say “I’m a Christian” because people will laugh at or ridicule you. Your kid might be told they can’t bring a Bible to school. 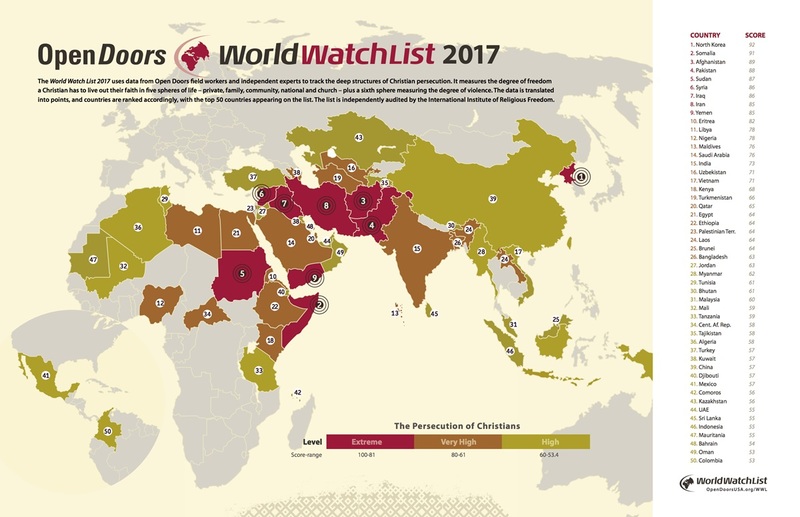 Many U.S. Christians don’t even know about the level of persecution our brethren face overseas. And if we do, I think all too often our response is an American knee-jerk reaction that the solution is to export more of our ideas like religious freedom, tolerance, and equal justice. Those same ideals drive the indignation we feel seeing any sort of persecutions happen here in the United States. As Americans, we think we deserve religious freedom. Under U.S. law, we’re right and I do believe we should continue to fight for that on a political level. But we should also realize the level of freedom we’ve enjoyed to practice our faith in the U.S. is an anomaly in world history. And while U.S. citizens should be able to count on freedom from persecution because of the Constitution, as Christians we’re never promised exemption from persecution. In fact, we’re told the opposite. The more that people living in a nation reject God, the more hostile that nation becomes to His followers. They don’t want to leave us alone because we make them feel guilty. When God’s word is preached faithfully, people are left without “a valid excuse for their sin” (John 15:22, LEB). The KJV translates this as having “no cloak for their sin.” Our walk as people of God shines the light of Jesus Christ into the world and even people who don’t believe in God are left without a way to hide from the fact that objective morality really does exist (no matter how loudly they shout against it). If anyone ever deserved not to face persecution it was Jesus Christ. He kept God’s law perfectly, preached the word faithfully, continually acted out of love, and traveled around helping people. And for that example of pure goodness, He was tortured to death. Throughout history, the people closest to God are the ones most hated by the world. The Jewish leaders spent the majority of Jesus’ ministry trying to kill Him (Matt. 26:4; John 5:16, 8:59; 10:31-33). Stephen’s murderers were so incensed after hearing his sermon “they gnashed on him with their teeth” and then stoned him (Acts 7:54-60, KJV). King David devoted several psalms to begging for relief from persecution (Ps. 7:1; 31:15; 35:3; 142:6; 143:3). We have no right to expect better treatment than our Lord and the faithful ones who have gone before us (1 Pet. 2:19-25). I’m certainly not saying we should ask for persecution or stand idly by when human rights are violated. But the hard truth is that we’re told to accept persecution happening to us as part of God’s will. 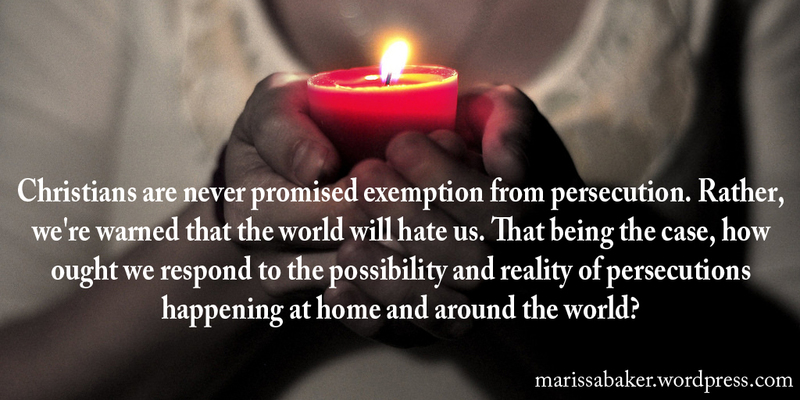 If you think you should be exempt, you might one day find your faith wavering. Jesus doesn’t say “if” affliction or persecution happens. He said “when.” Our faith will be tested in one way or another by outside pressures. The only question is how will we respond. Will we stay rooted in Jesus? or fall away because we’re offended? Apparently, there’s something about enduring trials, including persecution, that does good things for a Christian’s faith. 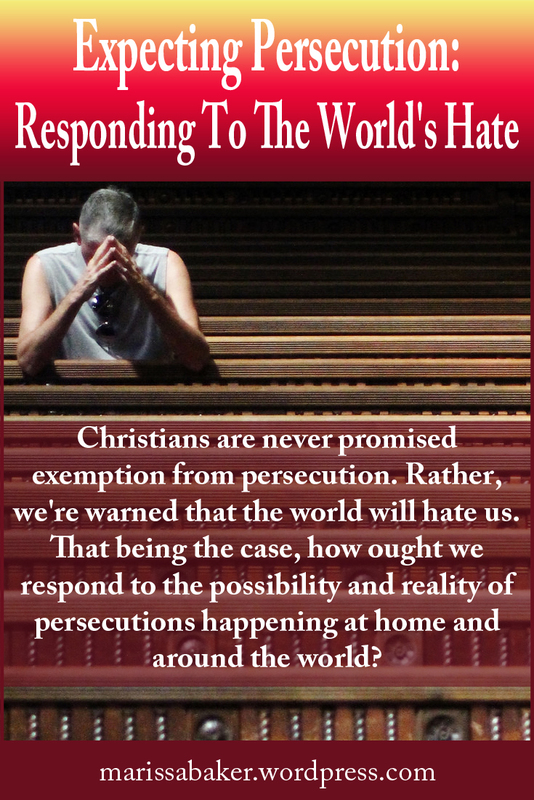 When we meet people who speak down to us or say hateful things because of our faith, or even take action against us, the natural human response is, “Why me?” or “How dare they do that to me?” But Christians aren’t meant to react to persecution with indignation. We’re to be more like the apostles, who rejoiced “they were counted worthy to suffer dishonor for Jesus’ name” (Acts 5:41, WEB). I’ll be honest, dear readers, I’m not sure I can do this. Actually, I’m quite sure I can’t on my own. The only way we can rejoice in persecution is if we’re so firmly rooted in our faith that nothing else matters. We need a vision of the kingdom and a strong relationship with our Lord to hold on to if we want to endure to the end. Christians endure persecution through faith, hope, and love — faith that God will keep His promises, hope in a glorious future beyond this life, and love even for our persecutors. The eternal perspective that gives us this strength to endure also teaches us that the people persecuting God’s chosen ones will face judgement and justice. In his second letter to the Thessalonians, Paul opened by thanking God for the exceeding growth of their faith and love. Reading on, we see this growth was happening in the midst of persecutions and tribulations. Paul tells them the things they’re enduring will help ensure they “be considered worthy of the kingdom of God, on behalf of which also you are suffering, since it is righteous in the sight of God to pay back those who are afflicting you with affliction” (2 Thes. 1:5-6, LEB). We serve a God to whom vengeance belongs, who promises to avenge His people and see justice done. We don’t have to worry about persecutors “getting away with” anything. Our focus should be on aligning our hearts with God’s and overcoming evil with good (Deut. 30:6-8; Rom. 12:9; 20-21). Now, just because we shouldn’t be surprised by persecution doesn’t mean we can’t try to stop it, especially when we see others around us being hurt. We’re never to turn apathetic toward suffering. And it’s not just for the sake of ourselves and other persecuted Christians. We know we’re going to be alright — if we’re faithful to God He will faithfully reward us in the next life. Our concern can also be for the world as we share God’s perspective by not wanting “any to perish, but all to come to repentance” (2 Pet. 3:9, LEB). Even our persecutors. So pray. Pray that those who are persecuting Christians will be enlightened, as Paul was, and come to the knowledge and love of the truth. 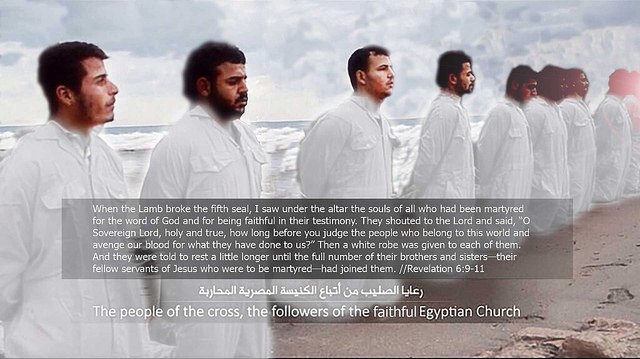 Pray for the leaders of countries that they would enforce laws letting God’s people lead quiet, peaceful lives (2 Tim. 2:2). Pray that God send comfort and aid to your persecuted brethren. Pray that our faith fail not when we all face persecution. And pray “thy kingdom come” as we look forward to Jesus coming back and setting up the first global peace this world has ever known.